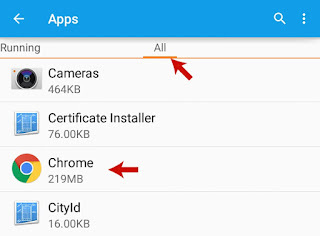 It may be possible that a single format file can be opened from different android apps. 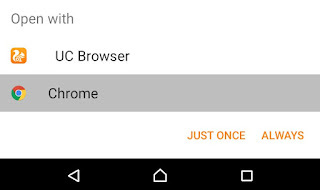 For example, Google Chrome and UC browser can be used to open HTML files. In the same way, txt file can be viewed from HTML viewer or OfficeSuit. Now If you'll try to open such file, a pop-up box will appear from where you have to select the app to complete your action. There would be 2 options as "Just once" and "Always". 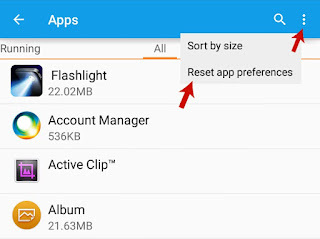 If you'll click on "Always" (by mistake) then same app will added to the default list for that particular file format and next time you wouldn't find any pop-up box for the selection of applications. But what if you want change this setting? Scroll left and land on "All" tab. Now find the app you want to remove (say I choose Google Chrome again) and open it. 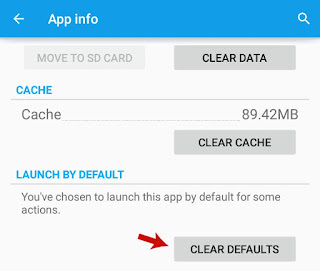 In the app info window, click on "Clear Defaults" button and that's it. Now go back to the file you want to open and it will now display a dialog box to choose an app for completing the action. Scroll left to "All" tabs. 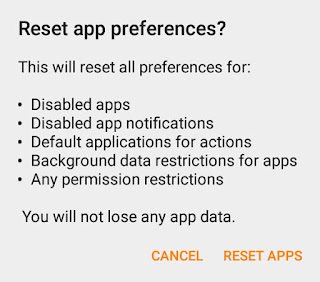 Select "Reset app preferences" option from menu list. Now a pop-up box will appear. Click "Reset apps" button and that's it. 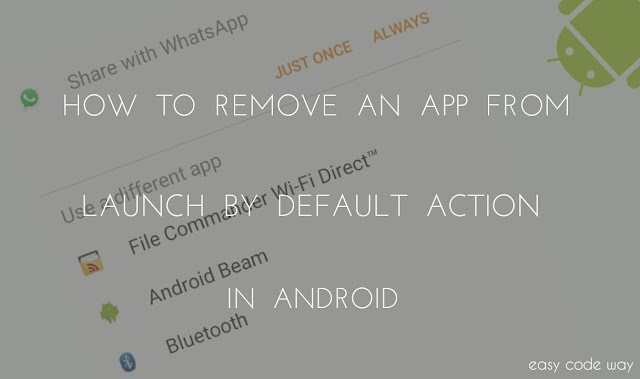 So above are the best 2 methods by which you can remove an app from launch by default action. I recommend you to use first method as it will target only single app and this would not change other system data. Next time, avoid yourself to click on "Always" button and instead of this use "Just once". For you knowledge, there are number of android applications available on google playstore using which you easily manage these default apps. But my advice is why to download such things when there are other better options. Finally if you have any question, please let me know in below comment box and start discussion now. Do you have any other alternative?